מרנוספורט מגאן 250 ) ומומנט 36.7 קג"מ (2.0 קג"מ יותר) בין 5,000- 3,000 סל"ד. לשם כך הוגדלו כונסי האוויר מלפנים ,ותוכננו מחדש לקליטת כמות אוויר גדולה יותר. ברידג'סטון פוטנזה RE050A היושבים על ג'נט "19 . מובלטת, וכיתוב TROPHY באדום מובלט בסף הפגוש הקדמי. צהוב,לבן, שחור, אפור ראו תמונות מצורפות. בעיקר תודות למסך שיתרגם לכם את הדינאמיקה למספרים, מצוין לימיי מסלול. ובעיקר לוחית מוטבעת המציינת איזו יחידה רכשתם מתוך 500 היחידות. הרנוספורט מגאן טרופי מוגבלת רק ל- 500 יחידות. פורטוגל, ספרד, איטליה, שוויץ, אוסטריה,וסלובניה. כך (כרגע) שאין סיכוי שהרנוספורט מגאן טרופי תיובא לישראל. ניתן יהיה כבר להזמין את הטרופי. מחירה בצרפת עומד על 35,500 יורו , ובשקלים : 177,500 ₪. הרנוספורט מגאן טרופי תוצג לקהל הרחב בתערוכת פרנקפורט ב 15 לספטמבר 2011. *טורבו מגזין ערך מבחן בלעדי ל רנוספורט מגאן 250 –המבחן המלא –כאן. 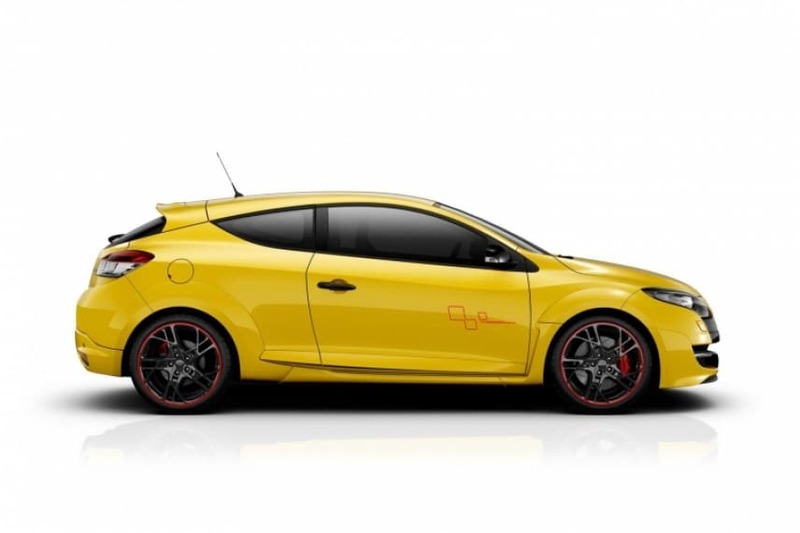 Renault unveils an even hotter version of Mégane R.S..
With a power output of 265hp and peak torque of 360Nm, Mégane R.S. Trophy delivers unrivalled efficiency for its class. A new tyre fitment and an increase in power make the very most of the Cup chassis' potential, without detracting from the car's acclaimed versatility and ride comfort. 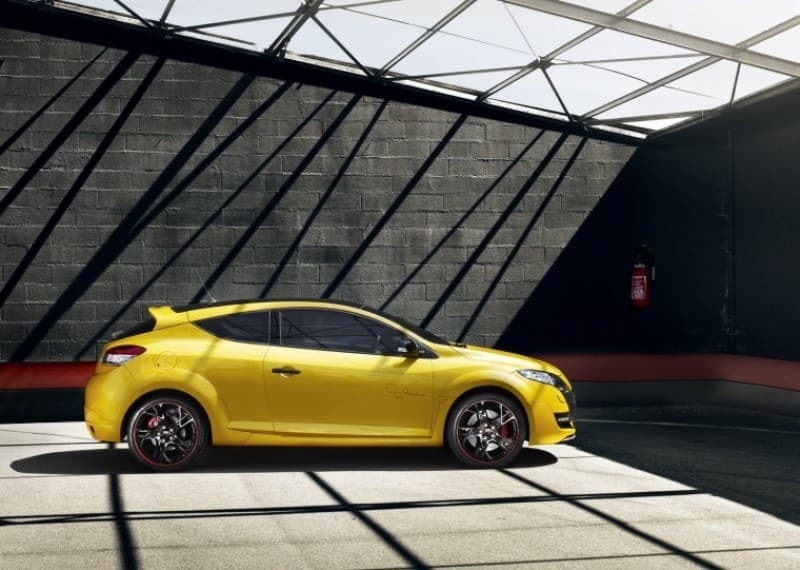 A production run of 500 cars is planned, and Mégane R.S. 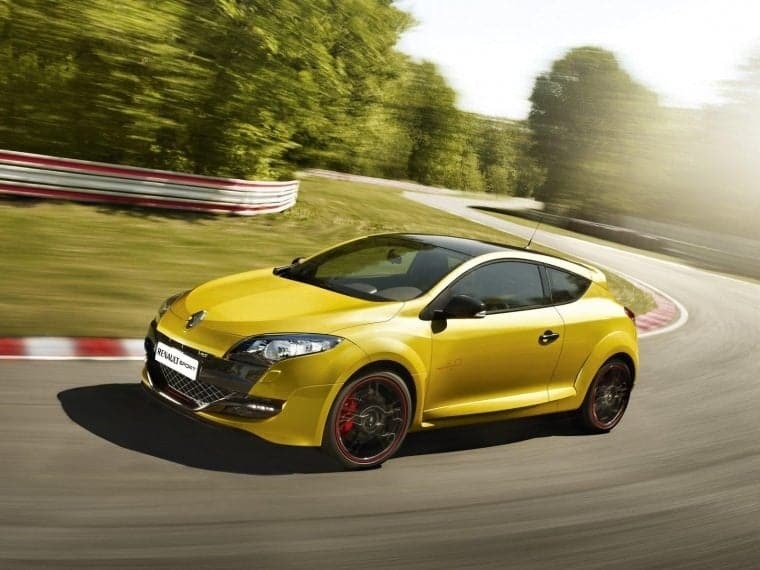 Trophy's specific styling features put it at the very top of the Mégane R.S. range. Order books open on June 20, 2011, and the newcomer will be marketed in France, the United Kingdom, Germany, Belgium, Portugal, Spain, Italy, Switzerland, Austria and Slovenia. Prices in France will start from €35,500. With maximum power of 265hp (up 15hp), peak torque of 360Nm (+20Nm) available across a particularly broad rev-band (3,000 to 5,000rpm), a power-to-weight ratio of 5.09kg/hp and specific power of 132.5hp/litre, the car boasts an exceptional performance package. 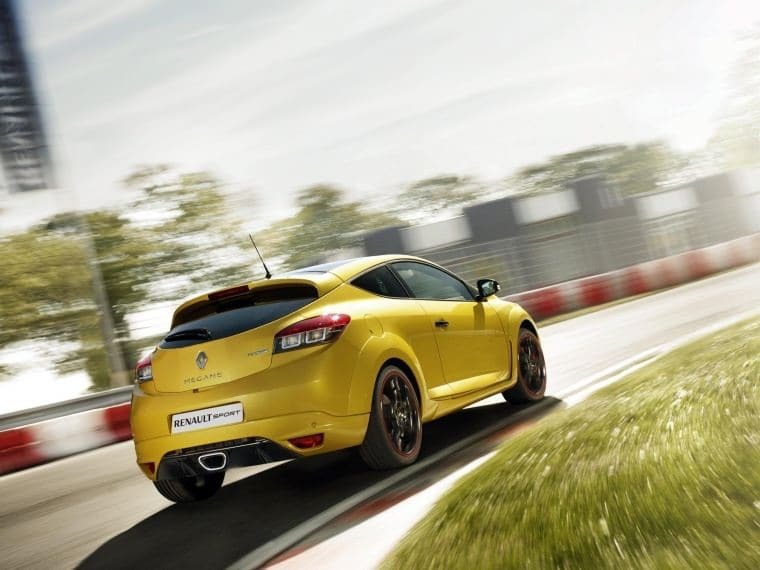 Even so, Renault Sport's engineers have worked hard on the specification of the Mégane R.S. 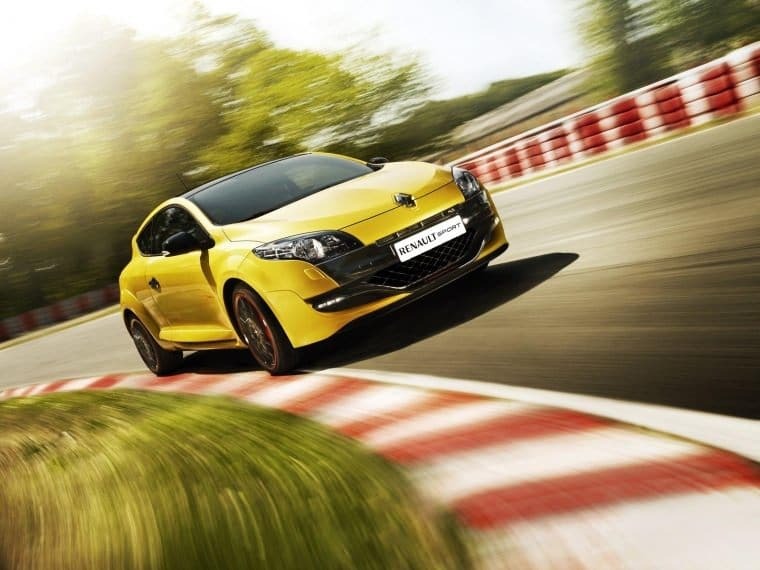 's 2.0-litre turbocharged engine to take driving enjoyment and response to even higher levels. Maximum turbo pressure has been uprated to 2.5 bar (up 0.2 bar), while the air intake design has been revised to take the higher pressure and higher running temperatures into account. 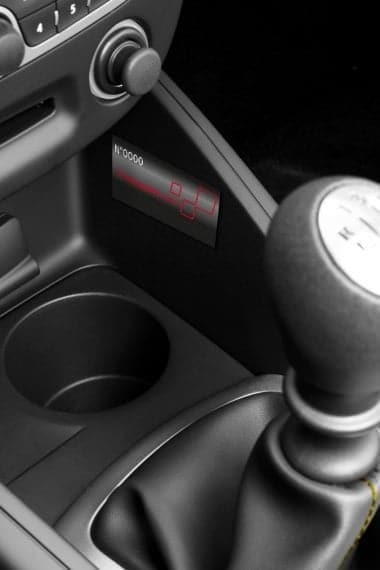 Performance has been enhanced in the process, and the result is a 0-to-100kph time of just 6.0s (down 0.1s), a top speed of 254kph (up 4kph) and the 1,000km standing start i-2.3n 25.4s (down 0.3s). 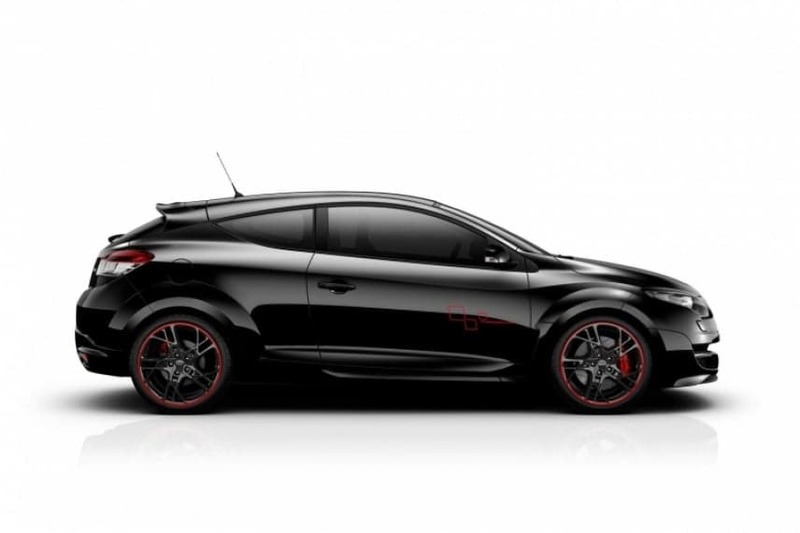 Beyond these statistics, however, the experience of driving Mégane R.S. Trophy is a constant source of enjoyment and satisfying sensations. 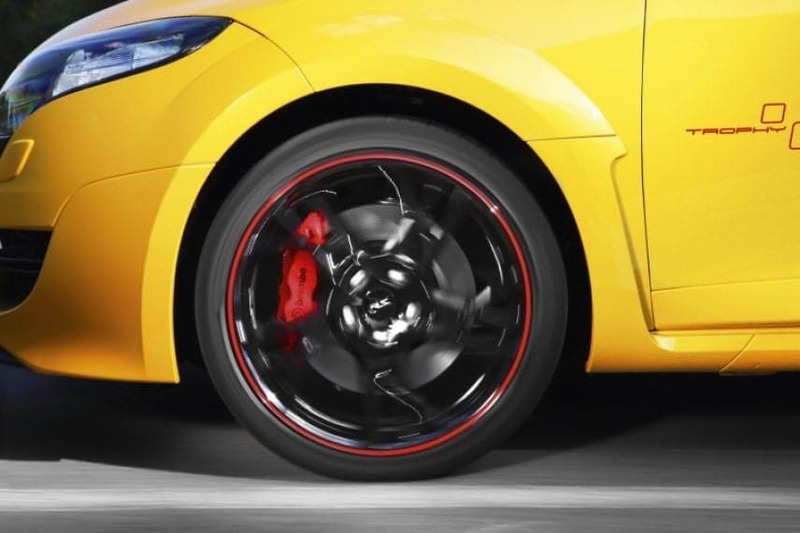 In addition to the finely-tuned set-up of the Cup chassis and the standard limited slip differential, a new tyre fitment contributes to the car's exceptional road-holding on dry roads, especially through tighter turns, as well as in the wet. The design of the Formula 1-inspired Bridgestone Potenza RE050A's asymmetric, directional tread pattern and the form of its tread blocks provide outstanding grip, stability and acoustic comfort, whatever the conditions. 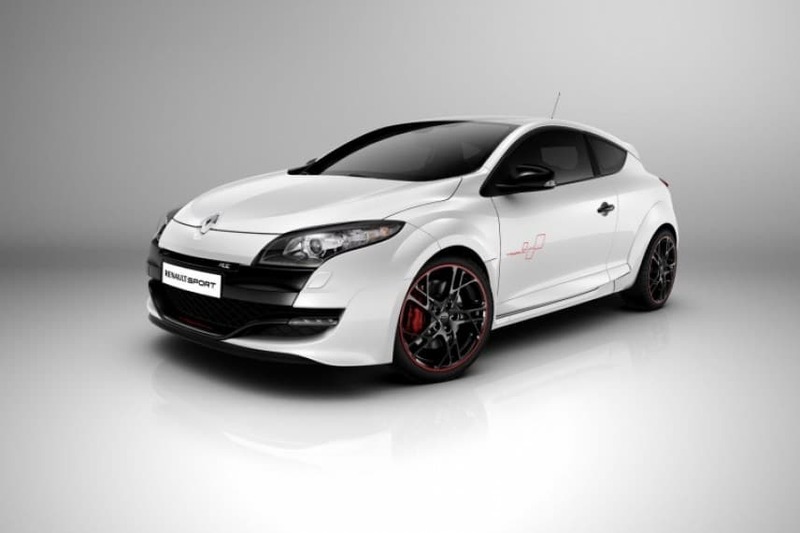 Last but not least, Mégane R.S. 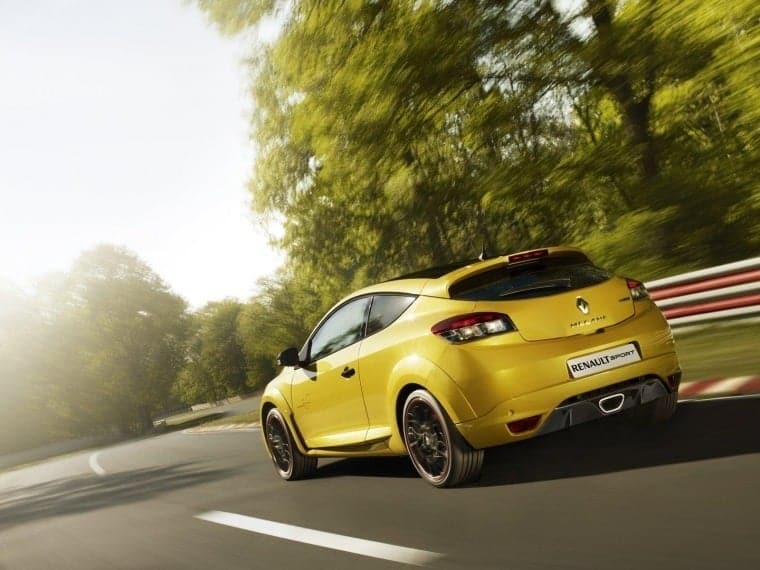 Trophy's fuel-efficiency has been carefully optimised to return combined-cycle fuel consumption of just 8.2 litres/100km, equivalent to 190g of CO2/km, which represents a saving of 0.2 litres/100km and 5g/km over Mégane R.S. at the time of the latter's launch. 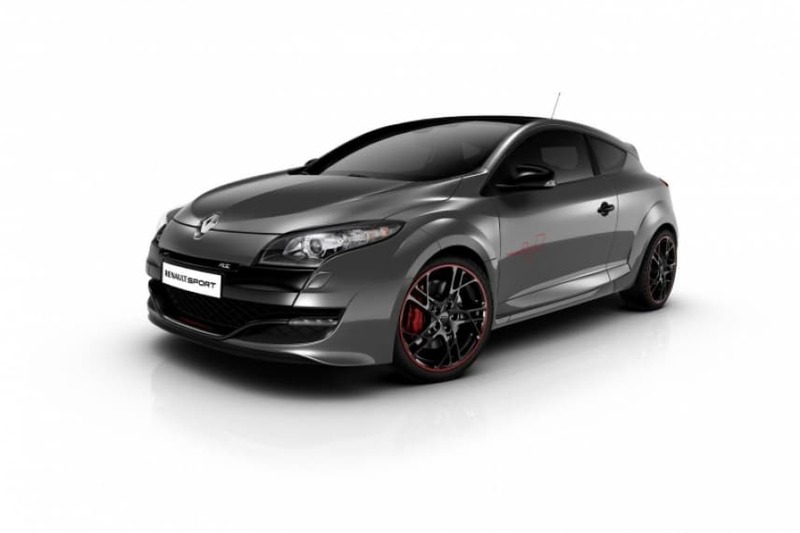 Mégane R.S. 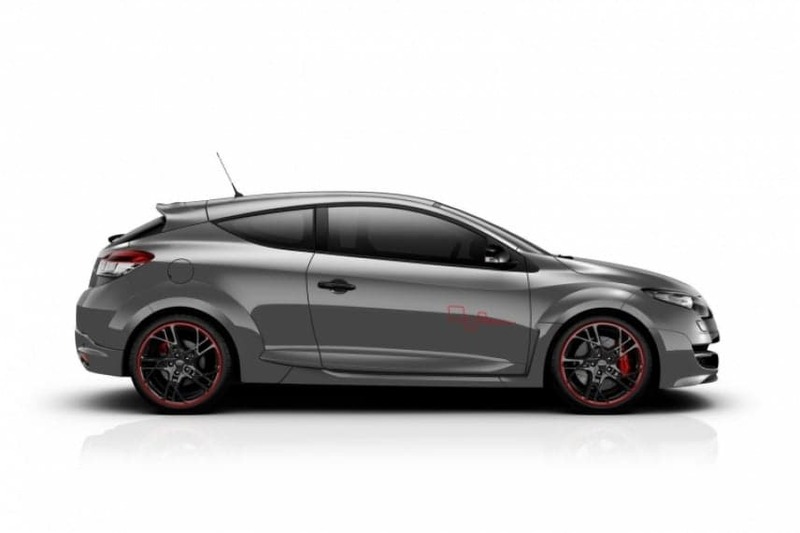 Trophy is recognisable at a glance thanks to its black roof, specific decals, new rear lip spoiler, 19-inch Gloss Black STEEV wheels with red piping and R.S. valve caps (optional or standard, depending on market) and numbered plaque. The LED daytime running lights also play a part in its striking looks. Mégane R.S. 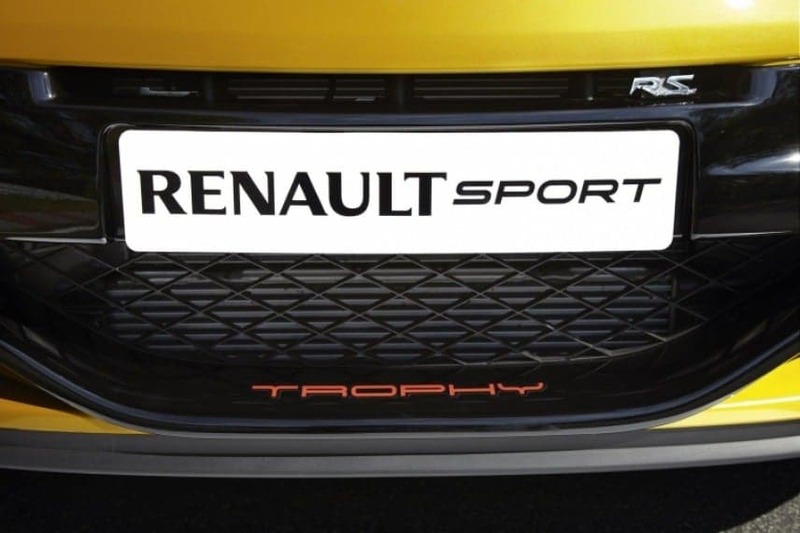 Trophy marks the introduction of a new Sirius Yellow finish, an emblematic metallic paint that will be particularly appreciated by Renault Sport fans. 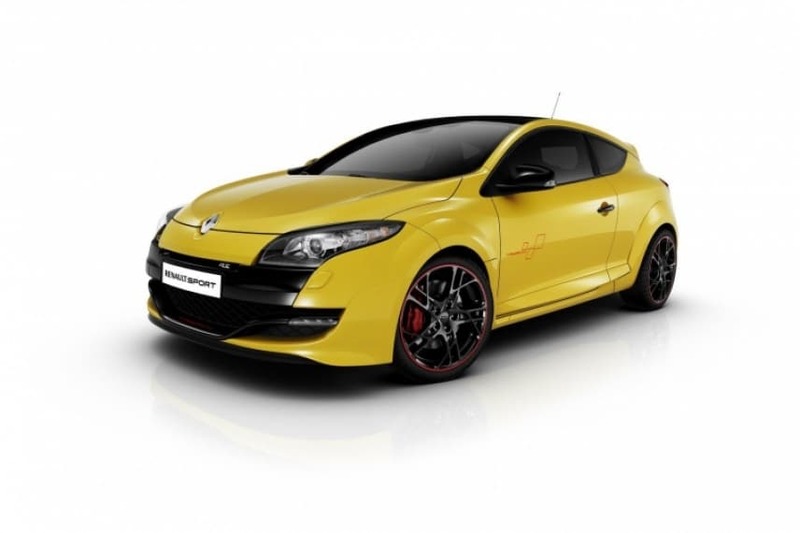 This specific body colour is available as an alternative to Glacier White, Etoilé Black and Cassiopée Grey. Inside, the Recaro bucket seats (fabric or leather, depending on market) add to the cabin's unmistakably sporty feel, as does the central display which shows the data provided by the R.S. Monitor. 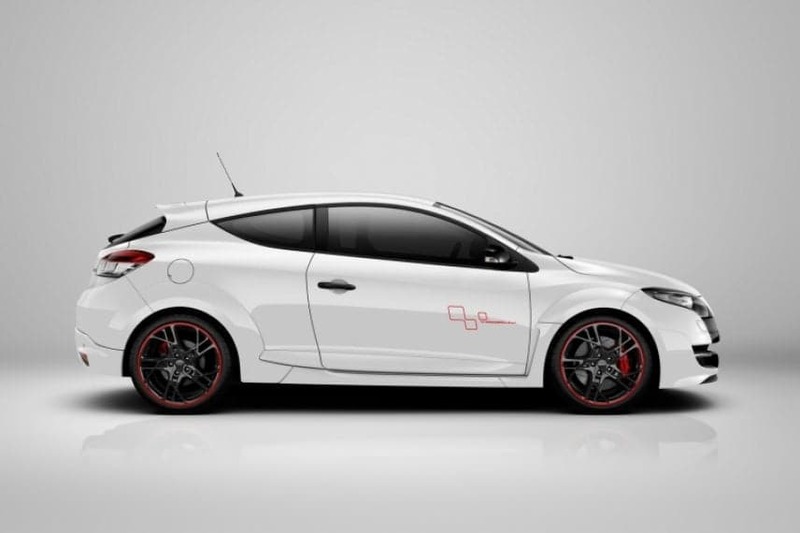 This innovative onboard data-logging system records performance and displays a range of mechanical parameters in real-time, a feature which owners will especially appreciate during track days, an exercise to which the Mégane R.S. Trophy lends itself particularly well. 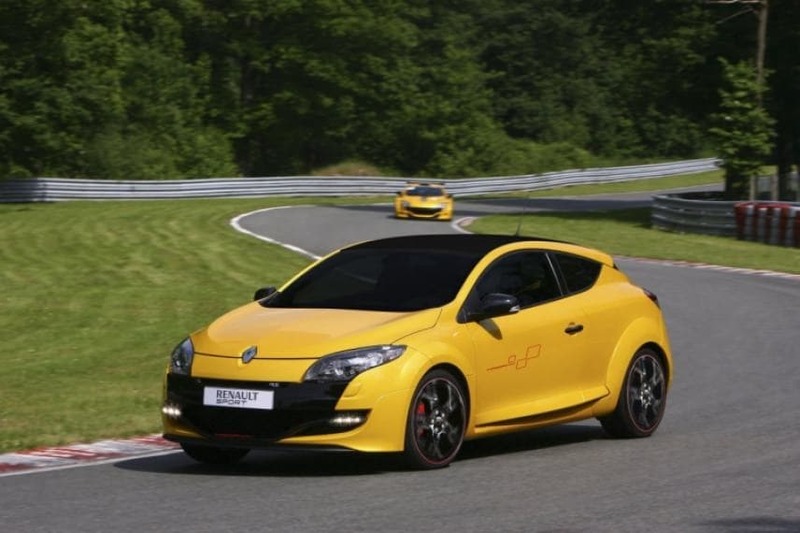 Indeed, the car will be on show at the Renault Sport Day which forms part of the Renault Sport Enthusiasts Day programme at the Nürburgring, Germany, on June 17, 2011.